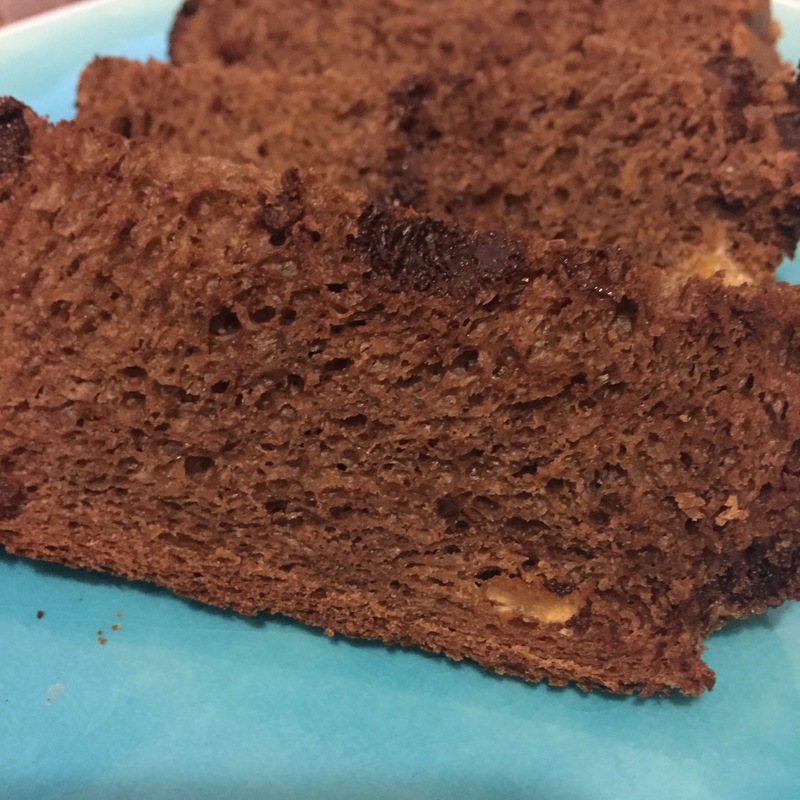 I am going to be getting together with some friends for a Latin-themed party this weekend, so I thought I would make this dessert bread to take along. It contains flavors of chocolate, cinnamon, coffee and orange, sure to be a crowd-pleaser. My ingredients for this loaf are: 1/2 cup milk, 1/2 cup water, 1/2 teaspoon dried orange peel, 1 tablespoon candied orange peel, 1 large egg plus 1 egg yolk, 3 tablespoons unsalted butter, 2 1/2 cups bread flour, 1/4 cup light brown sugar, 3 tablespoons unsweetened Dutch-process cocoa, 1 tablespoon gluten, 1 1/4 teaspoon salt, 1 teaspoon instant espresso powder, 3/4 teaspoon ground cinnamon, 1/2 cup bittersweet chocolate chips and 2 teaspoons SAF yeast. For this loaf, I set the crust on Light and am using the Sweet cycle. I also made a few substitutions to the recipe in the cookbook, again I will have to see how it works out. The recipe called for 1/2 cup orange juice. I was out of OJ, and knew I needed to replace the full quantity of liquid, so I substituted the water, and included the dried and candied orange peel to maintain a hint of orange flavor in the bread. When I think of Mexican chocolate, I associate that with cinnamon flavor more than orange anyway. 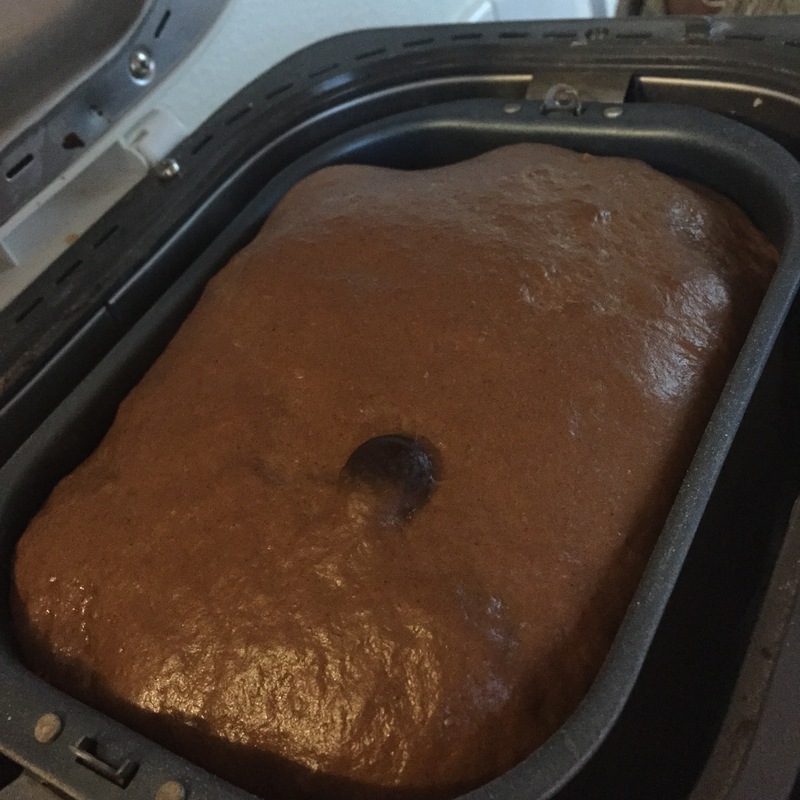 The loaf finished and I removed it to a baking rack to cool before slicing. 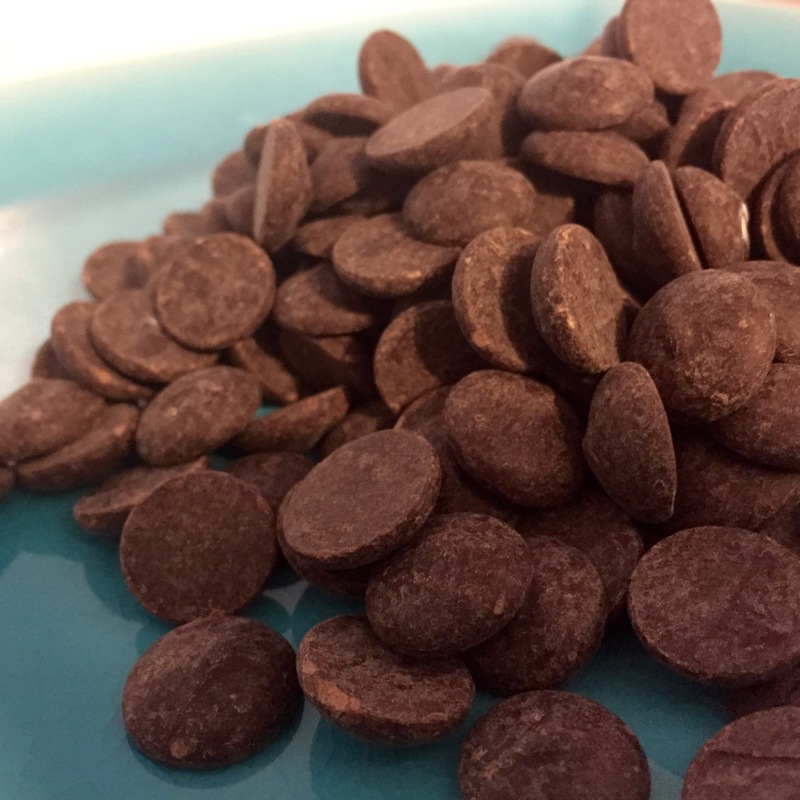 I noticed that there seems to be a large collection of chocolate chips near the bottom corners of the loaf. That could be because I got busy doing other things while it was mixing and kneading and never checked to see if I needed to scrape the sides of the pan. Usually I do this. Just remember to check a couple of times and use a rubber spatula to ensure everything gets mixed into the dough ball. The bread texture is tender and the crust is nice and soft. You can see from the pictures that some of the chocolate chips did make it throughout the loaf. You can also see the bits of candied orange peel. This is just delicious, the cinnamon, chocolate and orange are all more evident to the taste buds than the coffee flavor. In using orange peel, instead of orange juice, the citrus flavor comes in nice little bits through the bread. A bright note every once in a while. I tried a piece plain and tried another with a spread of butter. I preferred it with the butter as it is definitely bread and not cake, it is a little to dry to be eaten plain. I still have some orange curd I may try with it as well. I imagine orange marmalade would also be tasty. I will have to let you know what the party-guests think of it. Everyone seemed to like it. After having been frozen, it was a little drier than when it was freshed-baked. That is hardly a surprise though.